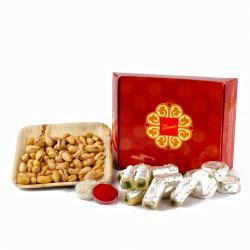 Product Consists : Assorted Dryfruit Sweet like Kesar Kaju Katli , Kaju Bon Bon (Weight : 200 gms) along with Pack of Roli Chawal. 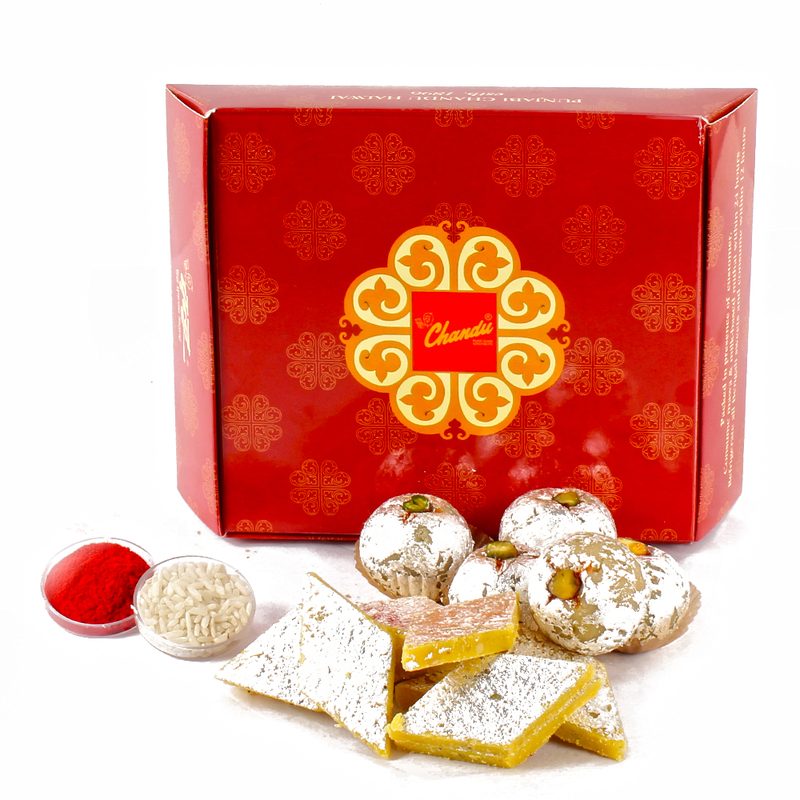 If you are looking for an exceptional gift for your dearest brother, give this exclusive gift sweet hampers to him, this Bhai Dooj. 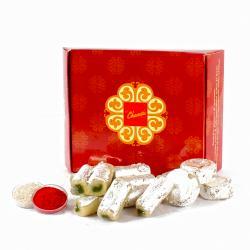 Assorted Kaju Sweets included in this hamper will act as a delicious gift for the festival and even an interesting prasada for puja. 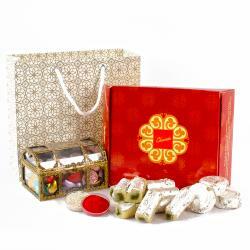 In order to give this gift hamper a more realistic and ritualistic look, all these items are accompanied with a roli chawal. 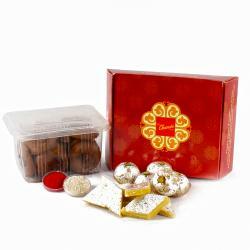 Product contains : Assorted Dryfruit Sweet like Kesar Kaju Katli , Kaju Bon Bon (Weight : 200 gms) along with Pack of Roli Chawal.